Here we go. The big kick off. For the kids it is the end of lazy days and sleeping in and endless time with friends and elongated road trips and boredom and movies galore and midnight bedtimes (or later) and long stretches of time to read and draw and having it be possible to be invited over to someone’s house at 8:00 at night and the answer being yes, we can go. It’s back to school time and it crescendo’ed today with Meet the Teacher day and school supplies delivered and classrooms found and the new playground unveiled. The monthly bus pass has been purchased for the oldest. The trumpet was found on Craigslist for the next. The desired teacher was gotten for the third and the new playground was enough to convince the youngest that everything would be okay. This year is a biggie for us. We’ll have three different schools and schedules. And growing kids who don’t necessarily need our help but might sometimes want it anyway. It’s going to take some real good communication and intentions and calendar checks and coordinating and did I say communication? to keep it all cool, calm, collected and connected. 1. Stay present to the ones I’m with. This is a biggie. Love the one I’m with. Phone down, tasks paused, eyes on the prize and in this case, the prize being the person who is standing in front of me. 2. Stay present to the task at hand. Driving? Drive. Cooking? Cook. Writing? Write. Socializing? Socialize. Playing? Play. You get the point. 3. Screen-free times. In the house for the whole family, we will have set hours that are screen-free. I’m thinking 5-7 should work. With a 6:00 exemption for homework reasons. No phones, tv, computer, etc. Screen-free. We did it last year and it was really great. We got off that bandwagon this summer though. 4. Electronics-free alone time. Walk. Meditation. Swim. Read. Etc. Be alone. Truly alone. Not alone but with virtual friends. Not alone but talking on the phone. Alone. Truly alone. With my own thoughts and ideas. Everyday at least. 5. Listen more. Fix less. My tendency has been to rush in with answers. My goal with my growing children is to listen more and let them work most of it out through talking it out. And I’ll be more likely to sense the real need as opposed to just the words that are stated. 6. Ask before I do offer advice. Not just to my kids but to people in general. Before I offer advice I’ll ask if it’s wanted. “Want my input?” It’s a simple question that will take some practice to make a part of my day-to-day. 7. Pre-planned playdates. Sure there will be after school playdates but they will be planned ahead of time. The on-the-fly playdates tweak me and tweak the balance of the household. Exceptions only in emergencies. With this will also be minimized sleep-overs. Sleep-overs tweak the kids and tweak the family more. The next day we usually all pay. Planned ahead and minimized. 9. Alone time once a month with each child. This is sometimes tricky to accomplish but I think setting it up ahead of time will be the key. On the calendar it goes. It doesn’t need to be huge – just intentional. A walk, a trip to the grocery store for a light shop, a croissant at the bakery, a visit to the playground. 10. One night out each week with friends. A designated night. Each week. And if friends can’t make it, then on my own. Just to collect my adult thoughts, share ideas, get inspired and have some fun. 11. Be thoughtful about my commitments. I have a lot of good ideas for things to do in the community. But I can’t do them all. Instead this year I plan on handing out those good ideas freely to anyone who is looking for one. And sometimes even just floating them out there to the universe for people to grab who didn’t even know they were looking for a good idea. It’s funny when my kids were little and playing with friends I would always tell them, “I’m not base! !” as they tagged me furiously in attempts to be safe from “it”. But really now I am base. Especially now. And by the time your child is entering high school you kind of have some understanding of what they mean. My oldest is starting high school this fall. In fact, she’s already made the volleyball team and is pretty much gone everyday for practice. And it has made me painfully and incredibly aware of time’s velocity. It seems like we were just trying to figure out kindergarten. And then figuring out what she’d do for middle school. And now, those decisions have brought us to the here and now of this little baby of ours looking at us eye to eye and making decisions and plans that aren’t necessarily run by us first. And we know before we know it she’ll be looking at college catalogs in order to figure out her next. I have already shed a few tears at this thought and surely will a few more as we hit milestones which seem to be leading to her leaving our home in just a few years. So if you’re walking with a stroller and I suddenly stop you in your tracks and go on about how you need to hold onto these moments because they go by so fast, I’m sorry. But really, it’s true. So revel in these moments as best you can – though I know it’s hard to be completely present when life is swirling all around you. And know that in all the moments – whether they are incredibly high or horribly low – they will pass in the blink of an eye. As for those parents that I’ll see in the kindergarten hall where we’ll be dropping off our youngest on the very same day, forgive me if I crowd the classroom window after they shoo us parents off. I just want one little glimpse before I blink again. So why go slow? Because the view from here keeps changing. I am raising a teen. I have been now for 1.75 years and I will be for the next 14.5 years. So I am studying them. I am studying their behavior and brains and nuances and intricacies and likes and dislikes. I am confounded on a daily basis. I am at one minute in awe of the connection we have and in the next I am shocked at the disdain she holds for us as parents. Her existence is nothing if not passionate. Truly. Whatever she is feeling, she feels it full on with all her heart, mind and body. So as to not be telling tales about her without permission I would like to add, that in my studies, research and polling of other parents, passion seems to be a recurring theme amongst all teens. Whether they are feeling bored, pissed, happy, silly, mad, sad, or other, they are feeling it passionately. Even their lethargy is passionate in that it is intensely felt and shown. It is a roller coaster ride to be sure. In 2009, before my teen became a teen I came across this amazing post on Salon.com by Cary Tennis. It reminded me that my children were merely being human in their displays of behavior – good, bad and indifferent. And now as I read this again, it hits even closer to home and serves as a good reminder that behind the behavior is my amazing human teenage daughter, feeling, loving, demonstrating all her humanness. It isn’t about me, getting my way, it is about our connection, here on this earth, as fellow humans. And man, do I need that reminder on a daily basis! You can read the rest here. Whether you have toddlers or teens or no kids at all, it’s a good reminder of the connection we are hoping to build. 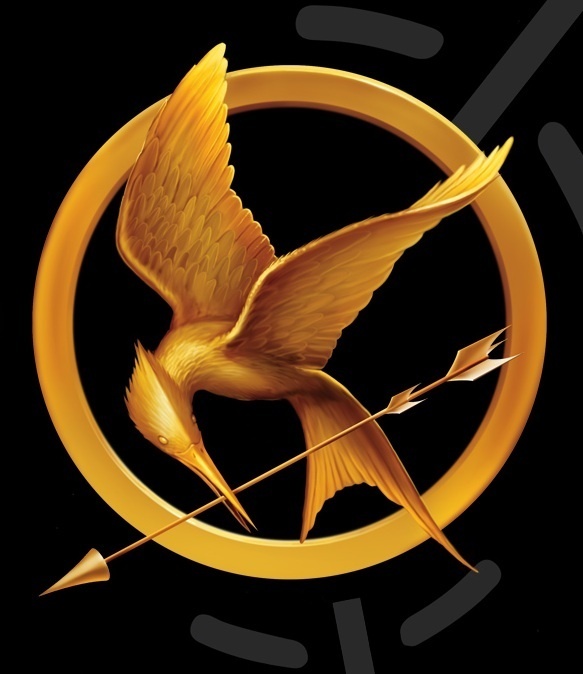 I am fully immersed in the Hunger Games trilogy. I am notoriously a slow reader but I finished the first one in a week, looking for any moment possible to pick up the much read tattered copy and read a few pages. Deliciously compelling. And I found it amazing how often I could find a few minutes squeeze in a little reading time. You know that feeling of a good book? When you can’t wait to steal a couple of minutes from the day in order to jump in? When you are somehow able to put everything else on the back burner in order to immerse yourself in the glorious world of whatever book has got your grip? It’s so satisfying and even decadent in a way. To put the world on hold in pursuit of this incredible immersion. What if we could apply that same feeling to family life? What if, when we were home together in the afternoons or evenings, we could give family time that same attention that we give to a really good book. What if, on weekends we would get stuff done in between the family time instead of the other way around. I’m going to try it this week and see just how many moments I can steal away from the world in order to be with the best unfolding story tellers I know. One person, one day, one lifetime at a time. Let the next chapter begin people, I’m ready! Last week was spring break here in Austin. And the big SXSW film/interactive/music festival too which brings in a few hundred thousand extra people to town. We had house guests join in the fun. We went to a bunch of different parties and other outdoor events most of which were just a few blocks from our house. We had no real agenda although we had a loose idea of a schedule and we all had a pretty good time. There were some low points here and there usually having something to do with hunger or fatigue but overall I think everybody got what they needed. And by Sunday we all returned home tired but happy. I talked to another mom today and they went camping for most of the week avoiding all the mayhem completely. By Sunday they too returned home rather satisfied at a week well spent. Still another family stayed in town but barely left their yard and opted instead for tending to their garden, reading lots and lazing about in the temperate climate with just a hint of a drizzle. They too all got what they needed. Yet another family of four took a crazy wild road trip going from place to place to place until they too all returned home tired but happy. Which emphasizes a point I make quite a bit but which takes a reminder every now and again. We all like different things. Different families all have different ideas of what constitutes a good time. And we have different needs too in order to fill our proverbial vacation cups. So I have a question for you – whether you’re heading into your own spring break, just finishing up, or dreaming about a big family trip in the future. How do you describe a successful and satisfying family vacation? On the road or at home? In town or far away? Action packed or sedentary? What are the elements you need to have your family vacation feel how you want it to feel? And for everyone in the family to feel like they got what they needed? Want to try something fun today? Something that might push your boundaries a little bit. Maybe even make you a tad uncomfortable? But will (most likely) bring a day of total relaxation and bliss for your entire family? Got a toddler who doesn’t want to take a bath? Let it be. Got a partner who doesn’t want to go to a party with the family? Let it be. Got a teen who wants to sleep until 2 in the afternoon? Let it be. Got a kid who doesn’t want to stop playing in order to come to the table to eat supper? Let it be. Got an adolescent who wants to lay in bed all day reading even though it’s lovely out and you think he ought to be outside playing? Let it be. Want to stay in your pajamas all day? Let it be. Just for one day. Let it all just be. Let everyone and everything just be what it is. I know it can’t really be like this all the time. There’s too much going on and there’s too many things that need doing. But I wonder if for one day, if we played at really just letting it all be, we might realize that sometimes, we can let things be a little more than we do in the name of everyone getting what they need. I wonder. What would happen. And since we lose an hour this weekend anyway, it seems like a perfect time to try it out.